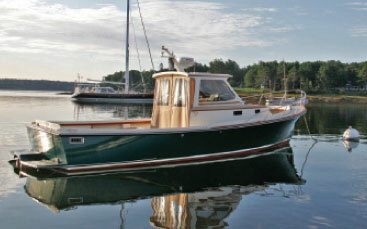 Your guide to investing in the quality and tradition of a boat built by State of Maine craftspeople. 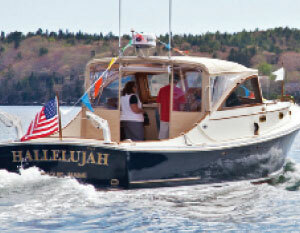 Congratulations on choosing to buy a boat built with the quality and heritage that is only found in Maine. Ultimately your most difficult task will be choosing a builder among all the exceptional yards throughout the state. Whether you’re commissioning a new build with boat loan rates (financing), or buying a production model, or investing in a used boat, there are many careful considerations you have to make, some of which are how to how you choose to have your boat insured. For vehicle or travel insurance why not visit One Sure Insurance and check out their quotes. First, decide on the type of boat that will fit your needs. Are you sailor? If so, are you looking for a small boat to daysail around the harbor, or are you looking for a larger cruising boat that will be safe and stable offshore? Among the sailboat types are single-masted sloops, as well as schooners, yawls and ketches that all have two or more masts. 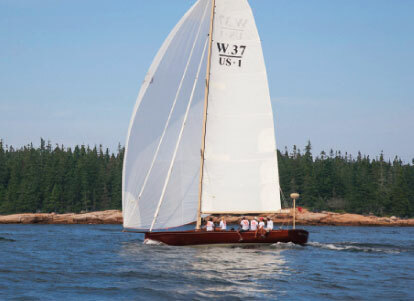 Maine is world-renowned for its sailing grounds, so you’ll find many builders that specialize in sailboats of all types and sizes. For powerboaters, you have similar considerations for size and use. Some boats are better suited for lake use, while others are ocean-going vessels equipped for long distances. If you’re choosing a powerboat, decide how far you plan to journey with it and whether you’d like it to be trailerable for over-the-road travel. Many powerboats are small and light enough to be launched off their trailers, while others require a crane or lift launching offered by boatyards. 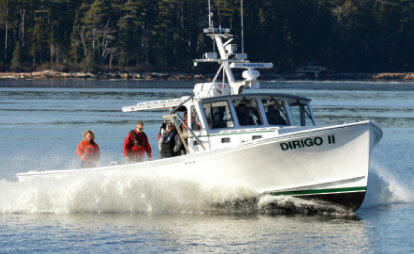 Maine is perhaps best-known for its lobster-boat style powerboat hulls. These boats have handsome lines and traditional aesthetics that capture attention in every port. Originally used exclusively for commercial fishing or whale watching california, these boats are versatile enough to be equipped as family-style boats. With the popularity of fishing extending across the nation on both lakes and oceans, there are dozens of styles of fishing boats that are practical and attractive. If you plan to use your boat extensively for fishing, consider finding one with a livewell and a stable platform for casting. Offshore fishermen often prefer to have a flybridge or tuna tower to find their catch in deep waters. If you’re looking more for a boat that safe and comfortable for day-trips and short overnight anchorages, consider a runabout or a small cruiser. Many center-console style fishing boats also double as family-style boats with a head and berth for coastal adventures. There’s an eternal debate among boaters regarding gas- or diesel-powered engines. Whether you’re buying a sailboat with an auxiliary engine or a powerboat, you’ll likely have to consider how it’s powered. Smaller boats are often easily powered with one or two outboard gas engines, which is generally an efficient means. As boats get larger, they often require diesel engines, which makes a difference in range. If you’re planning to travel at slower speeds in general, diesel engines have an advantage over gas when it comes to fuel consumption. Another key decision is the hull material for your boat. Most of the small and mid-sized used boats you’ll find on the market are built with either fiberglass or aluminum. These are both solid materials with significant integrity and longevity. While fiberglass and metal are the most common boatbuilding materials, wood is also an efficient and durable option for both sailboats and powerboats. Many people think of wooden boats as classic and spirit of tradition-style boats. They’re often considered to require more maintenance than their composite and metal counterparts. Today many modern wooden boats are built using a method called “cold molding,” which uses multiple layers of wood sealed with epoxy resin, and sometimes skinned with a layer of fiberglass. 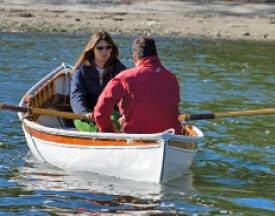 Cold-molded boats are actually equally — if not more — durable than fiberglass boats, and they are also very lightweight and rigid. The long-term maintenance of a cold-molded boat is no more than if it were built entirely from glass. Many builders are still effectively employing cold-molding technology, and they will attest to this method’s durability. The good news for you is that the current used and new boat markets are healthy for buyers. While there are many used boats on the market that you may be able to get quickly through a broker, consider investing more time in your boat and having a custom or semi-custom boat built to satisfy your very specific needs. 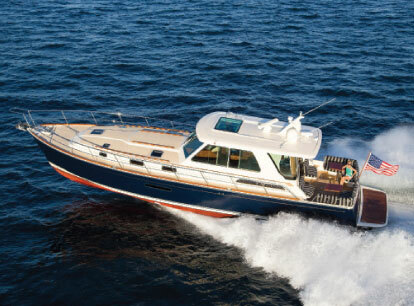 A Maine boatbuilder will work directly with you and a yacht designer to decide on a hull style, power package, and interior. Even small boats cans be customized by builders. Imagine having the boat of your dreams, built to last for generations. That’s the return in your investment when you choose to have a boat built in Maine.